We welcome the opportunity to serve you. We are a family owned business that has been servicing automobiles for over 40 years. As always, our objective has been to understand our Customers' individual needs and to provide them with the service they expect. We Are Your New Isuzu Dealer for the Phoenix Area! Let us help you find your car, truck or SUV. Stop by or call us today! We Can order New Chryslers, Jeeps, Dodge and most other makes. We offer financing to suit a variety of needs. Good Credit, Bad Credit, No Problem! 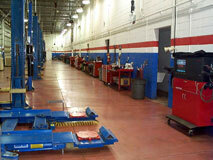 We are an Independent repair facility: a network of Automotive Specialists that cover 32 different models of vehicles. We are not affiliated or authorized with any manufacturer listed, but are more than competent in taking care of your car service needs. The 32 models we service range from Asian, Exotic, European and American cars, all serviced under one roof. We at the Bekelian Auto Group believe that our customers should be treated like family. That’s why we stand by our commitment to our customers to provide quality repairs, honesty, integrity and fair pricing. As always, our objective has been to understand our customer’s individual needs, to provide them with a very unique experience and deliver the service they expect. This page is best viewed in Internet Explorer 7 or Firefox 2.